Midlayers inspired by the mountain lifestyle. Winter’s in the air, can you feel it? The snow is so close you can almost taste it, and that itch to strap your sticks back on to your feet is about to be scratched. We’ve talked all about the base layers you need to stay warm, dry and comfortable out on the slopes, but what about midlayers? Everything about the Nari ¼ Zip will make you look and feel great. 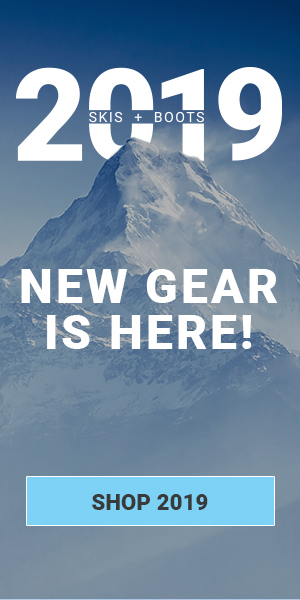 This winter ready top is one of the warmest and most versatile layering pieces that Obermeyer has brought to the ski scene for 2019. The Nari sets a new standard when it comes to on-piste apparel and features everything from the YKK Metallion zipper to fitted cuffs that add a nuance of style to your ski ensemble. Shaped flat-lock seams and the single sided suede finish offer next-to-skin comfort during strenuous ski days and allow for catch free layering every time you wear it. The Tech Glacier ¼ Zip from The North Face is made for cool-weather excursions. The Tech Glacier is constructed out of a midweight fleece that offers moisture-wicking, quick dry comfort when you need it most. The durable, streamlined, quarter-length zip allows you to regulate your body temperature and the active fit makes this easy-to-wear midlayer ideal for layering. The Tech Glacier’s modern stitch detail at the collar adds a little bit of style to your winter wear. The Namla Zip Tee from Sherpa is ready to go the distance when it comes to layering. Namla means sky god, a name that goes hand and hand with being in the mountains. This ultra-soft, brushed 300-weight fleece is the perfect companion for long treks in the backcountry and ripping down the front face. The Namla’s low-profile media system with port and earbud guides offers convenience as you listen to your favorite music and become one with the mountain, and the hidden security pocket keeps treasures safe as you explore. Don’t be bitter sweet about frigid weather, beat it with the Wintersweet 2.0 ½ Zip. This dual-layer, sweater-knit fleece from Polartec is made for unmatched warmth when you’re out on the slopes. The Wintersweet is constructed with a heat-trapping interior that utilizes your body heat to keep you warmer, while the generous ½ zip allows you to regulate your body temperature. Wear the Wintersweet when you’re roaming the lodge, the dropped hem enhances coverage for after ski wear. Mountain town chic meets technical performance with the Alska ¼ Zip from KUHL. This stylish fleece is beautifully crafted and features a shearling trim on the collar, cuffs and hem adding winter style to this textured top. The Alska’s princess seams create a modern, flattering fit around your chest, waist and hips making it perfect for all of your apres adventures. Pair the Alska ¼ Zip with your best ski wear, or pair it with some leggings and head out or a night in your favorite ski town. There you have it ladies, 5 midlayers that are sure to get you through the 2018/2019 ski season. Find more information about the fab 5 we listed above and our entire collection of women’s midlayers visit us at SKIS.com, and as always don’t forget to follow us on Facebook and subscribe to our blog below to keep up to date with all things skis. Spring & Summer Survival Guide: What To Do Until Next Ski Season?